The remote procedure calls provided by molsync.com now allow the creation of publication quality graphics in a number of formats. 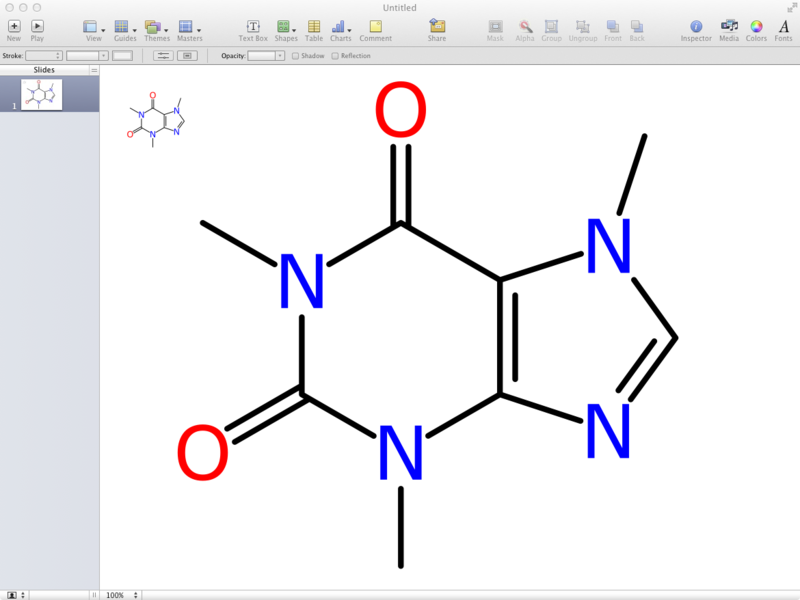 The list has been extended to include Encapsulated PostScript (EPS), which can be generated using the web interface, or from the next version of the Mobile Molecular DataSheet (currently awaiting review). 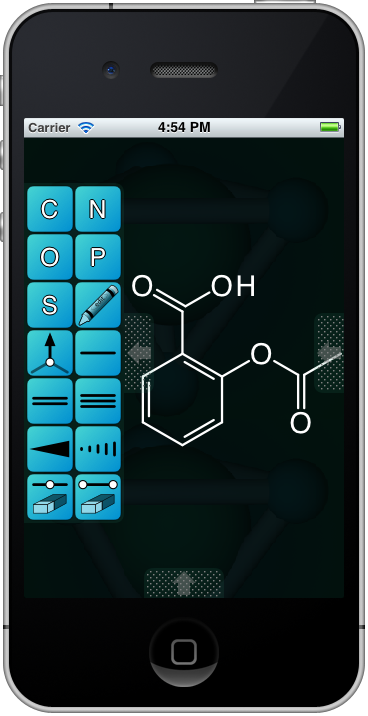 Most of the apps from Molecular Materials Informatics have been updated recently, due to the iPad3: the retina-class screen has half again as many pixels as a 1080p monitor (i.e. a lot), and the performance profiles of some graphics operations have changed. A few things that were fast became slow, and so a few tweaks were necessary. 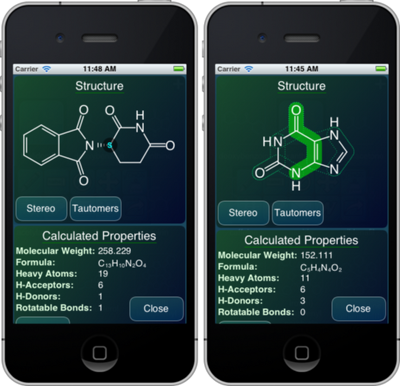 A whole lot of apps got reviewed and passed in quick succession: MolPrime+, MMDS, MolSync, ODDT and ChemSpider Mobile. Others will follow soon. Now that my iPad 3 is delivered, unpacked and synced up, I can now officially declare that my last few reservations about Apple being a positive force in the technology industry have now vanished. I’ve been looking forward to the so-called retina-class display on a large-ish screen, and it’s everything I expected. … all of that now gone. Now our apps can look as good as a glossy magazine, and it’s even less effort than it was before. 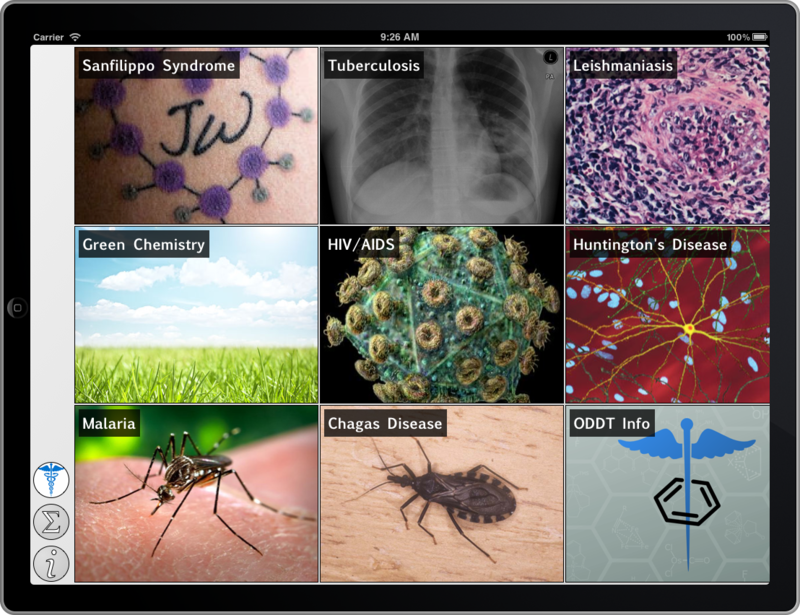 The Open Drug Discovery Teams app (ODDT) has now been promoted to “beta” status (version 0.9.0) and submitted to the iTunes AppStore. If all goes well, within a fortnight anyone with an iPhone, iPod or iPad will be able to download the app for free, and try it out. Even though the app is now in the process of being made available to the public, it is still a very early product, and the list of features to be added is long. We fully expect community feedback to have a considerable impact on how the project evolves.